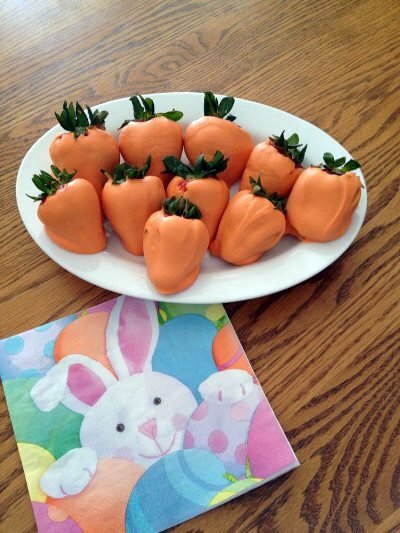 White chocolate (tinted) covered strawberries. They look like carrots! 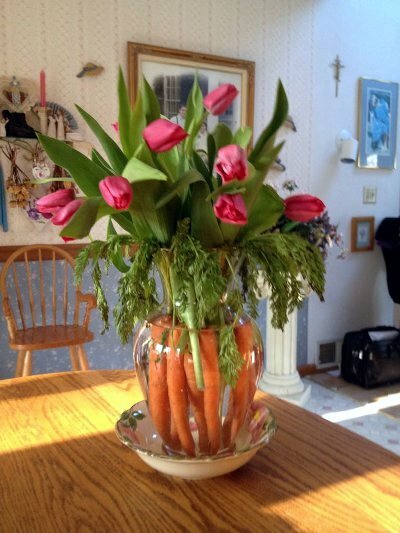 Cute simple Easter centerpiece. Buy carrots with greens and pretty spring flowers.